Online dating is not the exclusive domain of young people anymore. Thanks to JustSeniorSingles.com, the golden generation can also confidently enjoy the excitement of finding love online. Over 2 million members are taking full advantage of the platform, which boasts “Dating diaries” to better showcase your personality and a useful add-on to discover who has read your messages. As this JustSeniorSingles review explains, there is something for everyone, from novices to pros. One of the most impressive aspects to JustSeniorSingles is the natural integration of features, such as the ability to see who viewed your profile as you log in. And if you are prepared to pay a small extra fee, there are some great add-ons too. These include the “Spotlight” which will see your profile highlighted for a limited period and the chance to view who has actually read your messages. 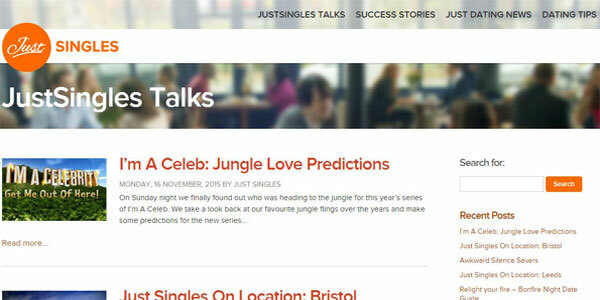 There is also a great blog which is well worth checking out, including sound dating advice and entertaining reviews. The sign up process is a simple 5-step approach. 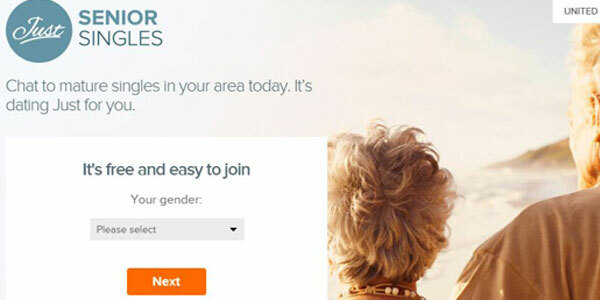 In order to create an account, you will simply be required to submit some basic details such as your gender, date of birth, first name and a valid e-mail address and password. In total, this will take you a matter of seconds. Once you have signed up though, you will have the chance to populate your profile, which is the most effective way to attract other users. You can add photos and select from drop-down menus to describe your physical attributes, background and interests. In addition, it is worth filling in the “Tell us more about you” section to really present yourself in a friendly, engaging manner. Safety is often a concern, particularly for an older generation less confident using online platforms. However, the JustSeniorSingles dating site has it well and truly covered. For a start, all profiles are checked and screened to minimize scammers. Meanwhile, the site utilizes SSL encryption to keep prying eyes away. 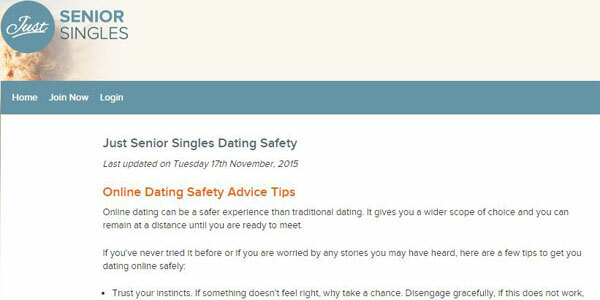 There is also a page of safety tips to keep you secure dating both online and offline. And if you want to report any concerns, live chat enables you to make a direct complaint about other users. You can become a free member, which allows you to create a profile and browse other users. You can also send winks, which is a great way to alert someone’s interest. However, you will find that without becoming a paid member, you won’t be able to communicate with them directly. A single month of membership will cost $44.60, a 3-month package works out at $29.77 monthly and a 6-month deal has a monthly cost of $22.34. In addition, you can pay a small extra fee for add-ons including “Spotlight” which temporarily highlights your profile in user searches. This is a very useable site. Given that it is a platform specifically for mature users, it has been designed to ensure that nothing is too complicated and that functionality is intuitive. Quite frankly, everything you need is conveniently situated just a click away from your personal dashboard, including your profile, account settings, the search function and your inbox. There are some nice, convenient touches too, such as the “Who is online” feature which lets you see at a glance who is available for conversation. It is also worth noting that a well-constructed mobile site is available on all major platforms too. Of course, a good search algorithm is the key to actually finding someone compatible. And JustSeniorSingles.com has a simple and effective system in place. There are two types of search available. The basic search is a great way to get a feel of who is out there, allowing you to search via general criteria such as age and location. However, the advanced search lets you be far more specific about your requirements. And so if definite physical attributes are important to you or a particular background is your preferred choice, then you can be sure to narrow down your search to exactly what you are looking for. This is a really effective, robust dating site for singles, with no frills. It means that whatever your level of online dating experience, you can enjoy using JustSeniorSingles with ease. If you are looking for something more innovative and technologically advanced, then read our review of the excellent Zoosk.com. JustSeniorSingles is an intuitive site which will keep you engaged and entertained thanks to a range of top quality features. With a large number of users and a great search engine with which to locate them, you have every chance of finding anything from friendship to the love of your life.